A continental divide is seen as any natural (not man-man) boundary separating precipitation which in this case includes rivers, rainfall, snowfall, etc that flows into two oceans. In other words this is like a barrier that prevents rivers, etc on one side from flowing into oceans and seas on the other side. It follows the principle of the drainage basin but on a more significant and larger scale. 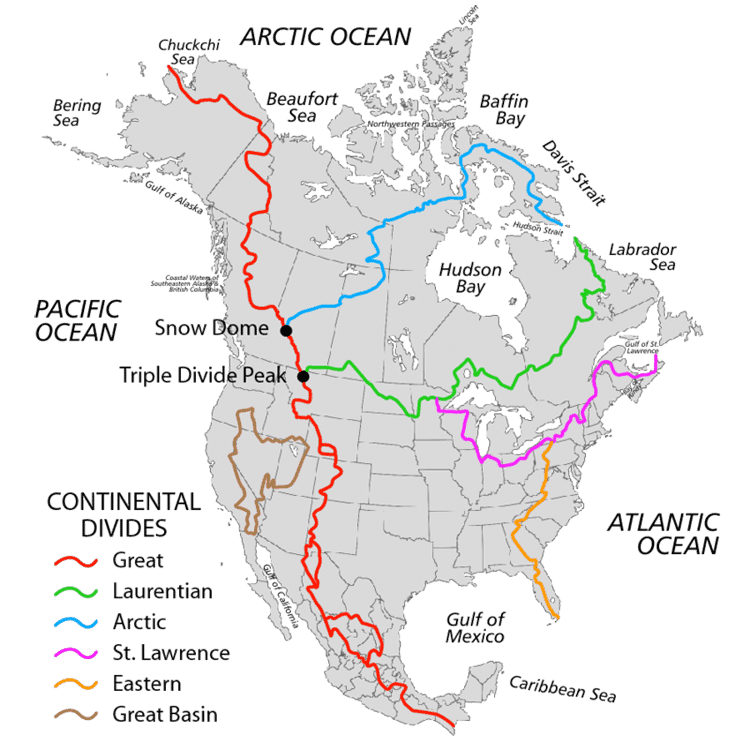 A continental divide is a high ledge often a mountainous range but in a couple of cases just a highland that roughly cuts across a continent thereby creating in effect an ocean or sea basin in contrast to the relatively smaller river basin. It important to note that continental divides occur on all continents even if the magnitude is very small and insignificant as in the case of Antarctica which receives a tiny amount of precipitation in the form of snow. Here the continent is basically surrounded by one ocean – the Southern Ocean. Some continents are bordered by more than two bodies of water and this ultimately leads to that continent having more than one continental divide. The best example of this phenomenon is North America which is believed to have between 3 and 5 divides (there is yet to be a general consensus by scientist on the exact number). Here, water flowing into the Atlantic Ocean is separated from water flowing into Hudson Bay and those flowing into Arctic Ocean by a divide known as the Northern Divide, or Laurentian Divide. 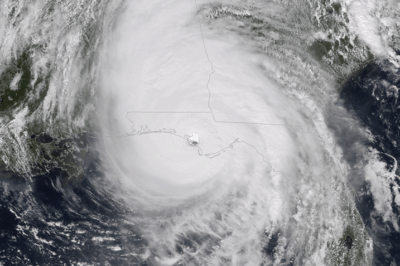 However, on the eastern front water flowing into the Atlantic Ocean are separated from those flowing into the Gulf of Mexico by the Eastern Continental Divide. The most popular and best known continental divide however, is the one referred to as the Great Divide which is situated in the United States. It is a divide that separates waters that flow into the Atlantic Ocean from those that flow into the Pacific Ocean. It effectively runs through the whole of North America. The Great Divide has its starting point at around the Cape of Prince in Western Alaska, running through Western Canada and continues through USA (New Mexico, Colorado, Wyoming and border of Idaho and Montana then Montana) with the Rocky Mountains forming a significant part of it down to the Sierra Madre Occidental Mountains of Mexico. In South America, the Andes Mountains mark the continental divide with the Pacific Ocean receiving rivers flowing west of the Andes while the Atlantic Ocean receives rivers flowing on the eastern side. The most significant continental divide in Africa is the Congo – Nile Divide separating what flows into the Atlantic Ocean and those flowing into the Indian Ocean. Continental Divides in North Dakota and North America by Mark A. Gonzalez (PDF).